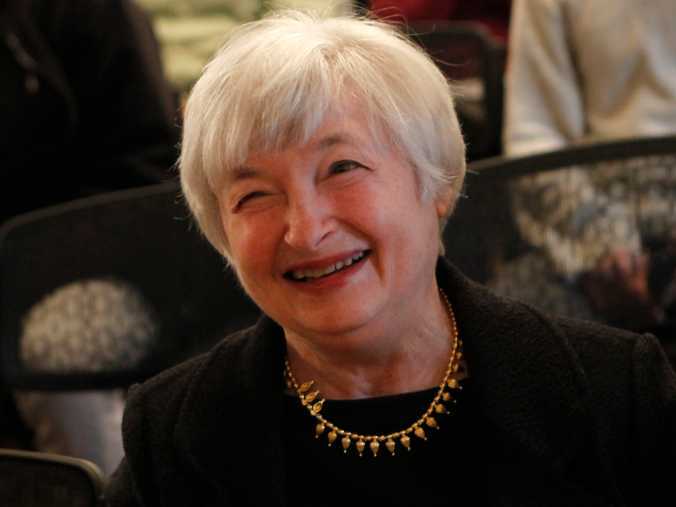 Janet Yellen has been confirmed by US Senate as the next head of the Federal Reserve. Fifty-six senators voted in favor of Janet Yellen with 26 opposed – many members of the chamber were unable to attend the vote because of bad weather. It was the last procedural hurdle for Janet Yellen, 67, before taking over from outgoing chair Ben Bernanke on February 1st. Janet Yellen is the first woman to lead the central bank in its 100-year history. Originally from Brooklyn, New York, Janet Yellen served as chair of former President Bill Clinton’s Council of Economic Advisers and was an economics professor at the University of California, Berkeley. During the Senate session to confirm her as the head of the central bank, many senators praised her long-term focus on unemployment. Janet Yellen is the first Fed chair nominated by a Democratic president since Paul Volcker left the top spot in 1987. She will face a difficult road ahead once Ben Bernanke steps down after eight years in office. Although most analysts expect Janet Yellen to continue Ben Bernanke’s efforts to boost the US economy by keeping short term interest rates low, she will eventually face unchartered territory once the central bank begins to ease back on its extraordinary measures. Janet Yellen was a strong supporter of the Fed’s current stimulus efforts – a $75 billion a month bond buying program known as quantitative easing. By buying bonds, particularly mortgage bonds, the Fed has tried to keep long term interest rates low to spur housing activity and encourage investors to spend, rather than save, their money. In doing so, the Fed has amassed close to $4 trillion in assets since it first initiated its stimulus efforts in the wake of the 2008-2009 financial collapse – a fact that some senators criticized during Monday’s confirmation hearings. Although the central bank announced plans to cut its purchases from $85 billion a month to $75 billion a month in December, Janet Yellen faces the difficult task of assessing when and how to ease stimulus efforts.